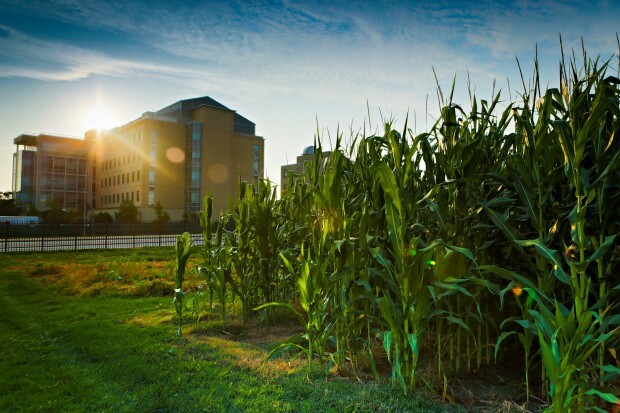 Our building is key to the collaborative research that happens in the Bond Life Sciences Center, and our state-of-the-art facilities provide unmatched opportunities for interdisciplinary research. The 230,000 sq. ft. building includes nearly 150,000 sq. ft. of research space, which is anything but traditional. 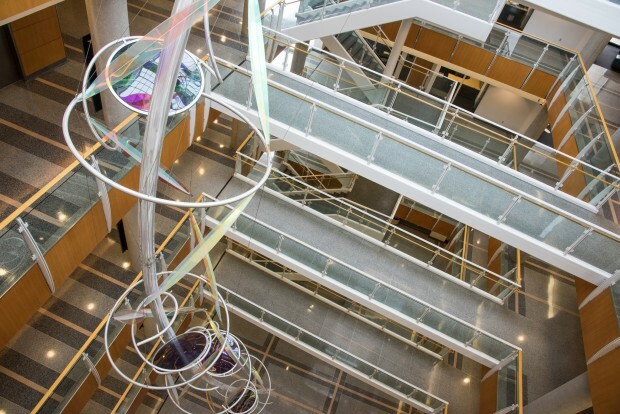 We have labs without doors, shared lounges and one central staircase that everyone must use, all to make it easier for our researchers to start conversations that could lead to the next great scientific discovery. Bridges across the atrium help facilitate conversations that spark collaboration. A cafe on the first floor is much more about communication than food (though you can grab a delicious lunch there). The building isn’t just functional. It’s also beautiful. Glass walls lend a bright, airy feeling to the building. A 110-foot-long architectural art piece, Joy of Discovery, hangs from the five-story atrium. 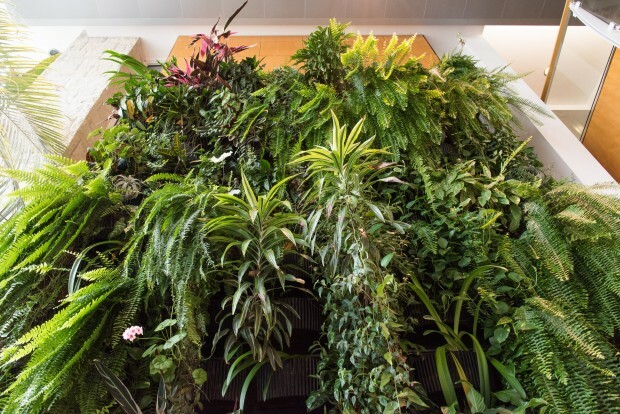 A two-story Living Green Wall in the lobby naturally filters the air with plants such as ferns, begonias and spiderworts.